Lexington Metal Fabricators, Inc., specializes in the design and custom build of machinery and material handling equipment. 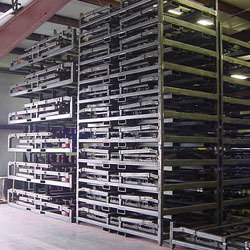 Located in Lexington, North Carolina, USA, Lexington Metal specializes in the design and custom build of machinery and material handling equipment for the heavy truck and automotive industries in the USA, Canada, and Mexico. We are proud to say that our quality and service have put use where we are today. Please explore our site to see all of our services and capabilities.